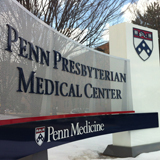 Dr. Cohen is employed by Penn Medicine. Block A., Cohen R.: Cinacalcet for secondary hyperparathyroidism in patients receiving hemodialysis. New Engl J Med (350): 15,2004. 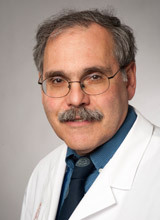 Goodman W, Cohen R.: The calcimimetic agent amg 073 lowers plasma parathyroid hormone levels in hemodialysis patients with secondary hyperparathyroidism. J Am Soc Nephrol 13 : 1017-1024,2002. Berns JS, Rudnick MR, Cohen RM, Bower JD, Wood BC: Effect of normal versus anemic hematocrit on ambulatory blood pressures in epoetin-treated hemodialysis patients with cardiac disease. Kidney Int (56): 153-260,1999. Rudnick MR, Berns JS, Cohen RM: Contrast media in dialysis patients: Should we be more concerned? Sem Dialysis (11): 3-6,1998. Berns JS, Rudnick MR, Cohen RM (Chapter 10). : Antiviral Agents. In: DeBroe ME, Porter GA, Bennett WM, Verpooten GA, eds. Clinical Nephrotoxins. Renal injury from drugs and chemicals. : 175-186,1998. Ermer JE, Boni JP, Cevallos WH, DeCleene S, Burghart P, Rudnick MR, Fruncello RJ, Berns JS, Cohen RM: Bromfenac disposition in patients with impaired renal function. Clin Pharmaco Ther. 61 : 312-18,1997. Berns JS, Cohen RM, Silverman M, Turner J: Acute renal failure due to indinavir crystalluria and nephrolithiasis: Report of two cases. Am J Kidney Dis 30 : 1997. Berns JS, Rudnick MR, Cohen RM. Dordrecht: Anti-infectious agents-antivirals. In: Bennett WM, DeBroe ME, Porter GA, Verpooten GA, eds. Clinical Nephrotoxins: Renal Injury from Drugs and Chemicals. : 1997. Rudnick MR, Berns JS, Cohen RM, Goldfarb S.: Contrast media-associated nephrotoxicity. Sem Nephrol 17 : 15-26,1997. Cohen RM, Feldman GM, Fernandez P.: The balance of acid, base and charge in health and disease. Kidney Int 52 : 287-293,1997.